Best Winery Near Healdsburg, CA! Notre Vue Estate Winery & Vineyards is a destination winery nestled between Chalk Hill and Russian River’s American Viticultural Area, offering magnificent event locations, world class wine, breathtaking views, and outstanding service. Situated just outside of Healdsburg, CA, Notre Vue is a place where beautiful, lifelong memories are created and savored. Whether you are seeking a destination wedding venue, rehearsal dinner location, or hosting a private or corporate event, Notre Vue is a beautiful backdrop for any celebration. A vision to share our view, our life, our wine. Founders and Owners, Bob and Rene Stein’s intention were clear from the very beginning, “We consider your experience to be the final step in our winemaking process. The vast views from atop the Notre Vue estate are breathtaking. Our vision is guided by our commitment to sustainability and the rustic elegance of this living estate, a respected stewardship for all its offerings, bounty, and beauty, protected and shared for generations to come.” With 350 acres of devoted open space and 250 acres of vineyards that go into the finest wines we can produce, there is plenty to explore and taste at Notre Vue. Imagine joining your family, friends, or colleagues for a hike or bike ride along the rustic trails spanning elevations from 200 to 1200 feet with sweeping views to the east, across Napa Valley to the mountains above St. Helena and to the west as far as the Pacific Ocean. Afterwards, all of you gather together for a catered lunch served with a selection of Balverne Wines crafted from grapes grown at the Estate. Guests can pair food and wine, learn winemaking with our winemaking team, taste from The Summit, as well as several other amazing, one-of-a-kind Outdoor Room experiences. 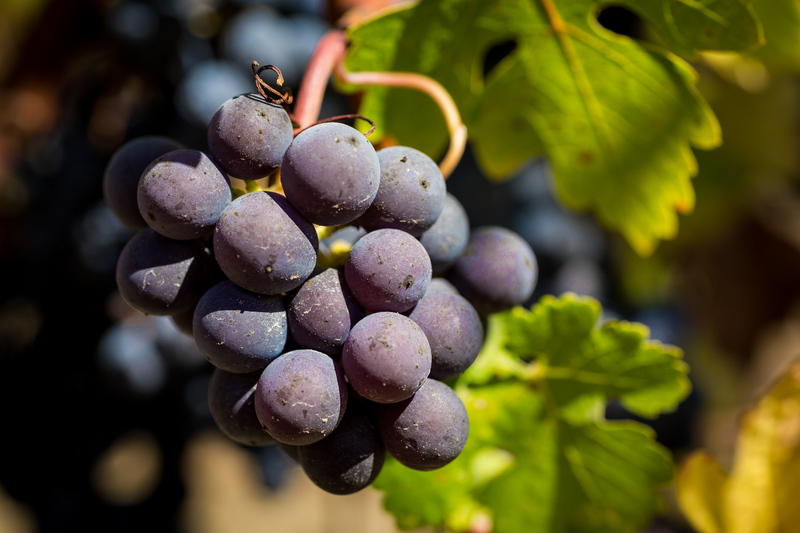 As you savor the Balverne Wines, your palette is introduced to the two world-class viticultural areas: the Chalk Hill appellation, with its ashy volcanic soils suited perfectly for Bordeaux varietals, and the ancient river bed of the Russian River appellation, ideal for Burgundian varietals. Through an unwavering commitment to quality, the Balverne wines are ‘Nature Focused,’ with distinctive flavor profiles that expressly link them to their source. Our wines are intentionally crafted by our winemaker and exude a connection to an active outdoor lifestyle. They are meant to be enjoyed throughout the day and can be paired with lighter brunch fare of a picnic, informal BBQ luncheons, and sumptuous farm-to-table dinners with friends. Our wines include Sauvignon Blanc, Chardonnay, Pinot Noir and Cabernet Sauvignon. Crafted experiences designed just for you. Known for our crafted guest experiences and sublime hospitality, Notre Vue is sought after by local Sonoma County customers and international wine enthusiasts alike. Our visitors hail from nearby Bay Area cities, the Sacramento Valley, and beyond, seeking to learn, to explore, and to surrender to the Notre Vue experience. Our estate is a place where you can enjoy the beauty of vineyards or gardens, relish in the natural environment, and indulge your senses in the overall rustic elegance that is Notre Vue Estate Winery & Vineyards. Contact us for assistance with planning your next personal or corporate event. Come and share our view, our life, and our wine!